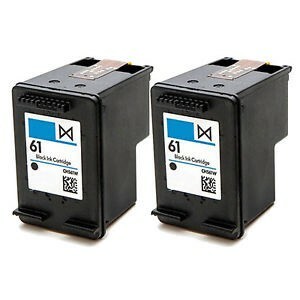 HP CH561WN (HP 61) Remanufactured Black Inkjet Cartridge 2 Pak USA - Oklahoma Toner Co. L.L.C. HP CH561WN (HP 61) Premium Quality Remanufactured Black Inkjet Cartridge 2 Pac designed to work in the Deskjet 1000 series	HP Deskjet 1051 All-in-One Printer Deskjet 1000 series	HP Deskjet 1010 Printer Deskjet 2000 All-in-One series	HP Deskjet 2050 All-in-One Printer - J510a Deskjet 2500 series	HP Deskjet 2540 All-in-One Printer Deskjet 3000 series	HP Deskjet 3050 All-in-One Printer - J610a Deskjet 3000 series	HP Deskjet 3050A e-All-in-One Printer - J611g Deskjet 3000 series	HP Deskjet 3000 Printer - J310a Envy eAll-in-One series	HP ENVY 4500 e-All-in-One Printer Envy eAll-in-One series	HP ENVY 5530 e-All-in-One Printer Officejet 4600 series	HP Officejet 4630 e-All-in-One Printer Other Products	HP Deskjet 2512 All-in-One Printer Other Products	HP Deskjet 3054A e-All-in-One Printer - J611j Other Products	HP Deskjet 2050 All-in-One Printer - J510e HP CH561WN (HP 61) Remanufactured Black Inkjet Cartridge designed to meet or exceed the specifications of the original OEM manufactured cartridge. All products are manufacturer under the most stringent conditions in state-of-the-art facilities and offer the best value for your dollar. The use of compatible items does not effect your printer warranty.